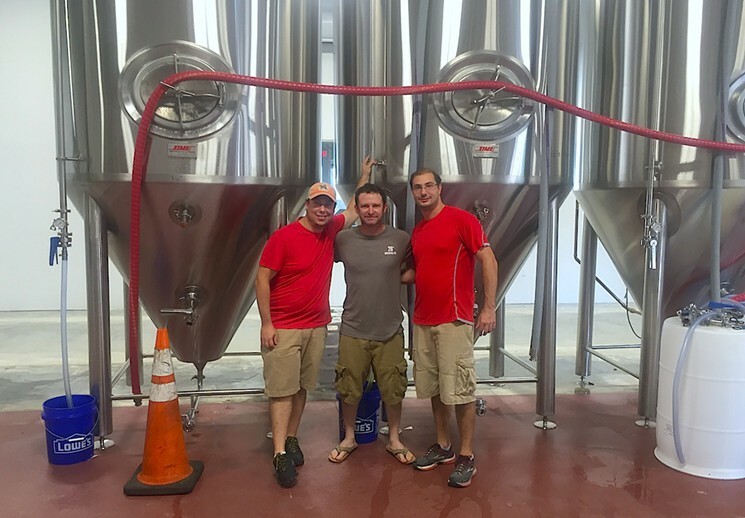 Today, Lieberman is one of three men behind 26 Degree Brewing Co., a Pompano Beach-based facility cofounded by Lieberman’s childhood friend Yonathan Ghersi and Oscar Olikowicz. Together the trio — which named the business for the latitude parallel that runs through South Florida — are planning to open by mid-September. Lieberman says the Pompano Beach Community Redevelopment Agency was instrumental in helping 26 Degree Brewing find its home at 2600 E. Atlantic Blvd. The business partners considered locations in cities like Miami’s Wynwood district and Delray Beach before settling on Pompano Beach. When it opens next month it will become the city’s second brewery to begin operating following the grand opening of Bangin’ Banjo Brewery in July. Thanks to 21,000-square-feet of space 26 Degree currently stands as one of South Florida’s largest brewing operations, located in a building that was formerly home to a Winn-Dixie and — most recently — a Bealls Outlet store. Construction on the building began several months ago, much of the work done by Lieberman himself, as well as his partners, friends, and family — everything from interior layout and design and furniture construction, to the 52-foot taproom bar. 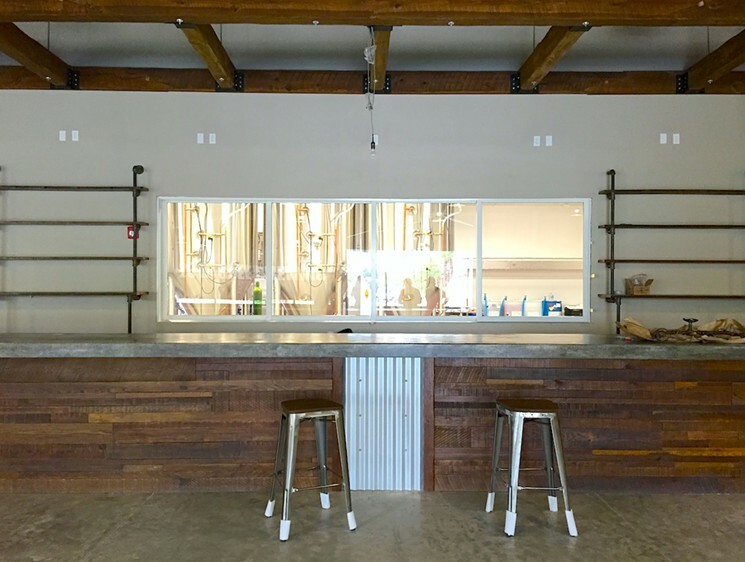 Inside, a view of the spacious brewing facility is glimpsed beyond a glass garage door, a space that offers plenty of room for future expansion. Another unique feature: the 4,600-square-foot taproom will also have a smaller optional seating area inside the brewery itself, allowing guests a one-of-a-kind experience. The brewery is set to open with 30 tap handles, a mix of local or national craft brews as well as ten standard and rotating seasonal beers developed by 26 Degree Brewing. The brewery will be running on a 30-barrel system with an oversized mash tun, something that will give Lieberman and his partners the ability to produce high-alcohol-content beers, he says. They’ve also installed a reverse-osmosis water filtration system to deliver quality control, allowing them to build custom water profiles for each beer. Hopefully that will include Lieberman’s personal favorite, Ziko’s Range, an imperial stout named for a loggerhead turtle Lieberman rescued at the Juno Beach Marine Life Center where he volunteered. The official opening date has yet to be set, but keep checking in with New Times. 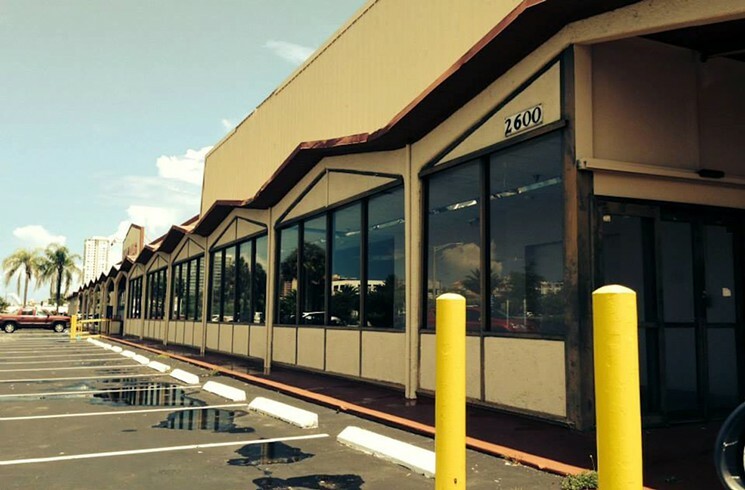 26 Degree Brewing Co. will be located at 2600 E. Atlantic Blvd. in Pompano Beach. Visit 26brewing.com.